Strength, durability, quality, value and innovation all work together at East Manufacturing in the manufacture of trailers that take on some of the toughest jobs in the transportation industry. 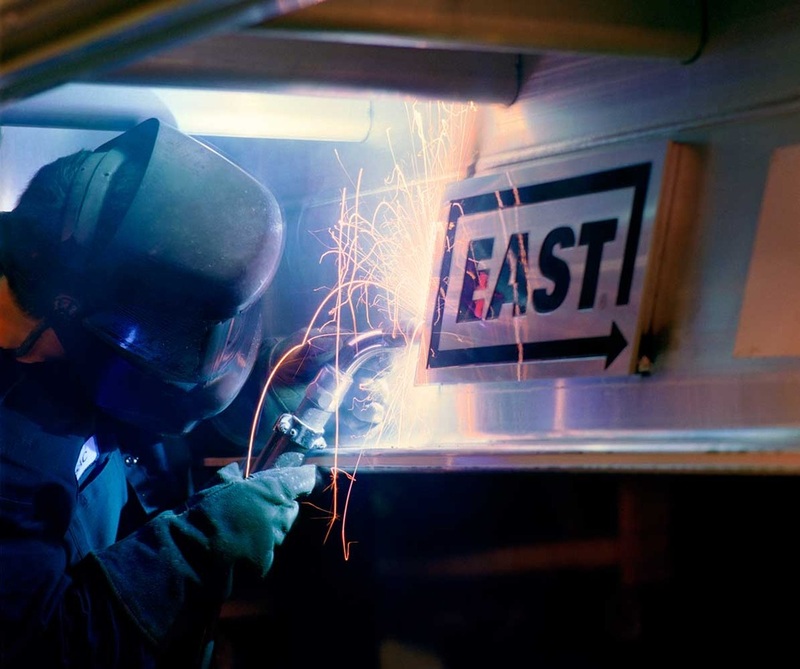 Founded in 1968, East is a privately-owned company that began operations in a 80-foot by 100-foot building, manufacturing aluminum dump trailers, one at a time. Since then the company has grown to become a multiple product, leading trailer manufacturer that employs over 500 people with facilities comprised of more than 800,000 square feet of manufacturing and warehouse space. East sits on over 100 acres in Randolph, Ohio, providing ample space to meet both current and future growth requirements for trailer manufacturing, service and repair, storage, pick-up and delivery. At East, we sell through our network of over 70 dealer locations across North America. East builds trailers to provide our customers with superior operational performance, strength, durability and longevity, while providing top value. Our dedicated and loyal workforce is key to our success, and the foundation to pursuit of excellence. Because of our people and our processes, we provide a top quality product, which exceeds customer expectations. The more you look at East, the more one overriding strength becomes clear. East is an investment in superior quality and value that proves itself, day after day, where it counts most-in a better bottom line. It comes from the East equipment, and the way each model is engineered and built. Since 1968, East has been dedicated to making sure you have the best in class. You have the top value going in…the highest resale value coming out. It comes from our innovative leadership, which keeps East equipment out front for others to follow. Ideas for greater efficiency, strength and durability – East puts them to work for you first. And it comes from the depth of support you get. East dealers are among the best in the industry at helping match equipment to needs…and getting the most out of it. Working with us at East, they offer you the knowledge, financial options and service backup that help make businesses run better. At East, the bottom line is this: we’ve always figured that the more we add to your success, the more you’ll continue to look to us for equipment answers. So everything we do must prove to give the best quality and value…and the best return. We win when you win. With quality proven to last, it is no wonder East products continue to thrive. To discover the different products we have to offer, check out our website inventory. If you do not see something that suites your needs, give one of our knowledgeable sales representatives a call or stop by our showroom today!